Folders are a vital feature for organizing files. As a professor, folders can be used as a handout tool as well! You can create folders for specific handouts, then students can view, download, and print them. 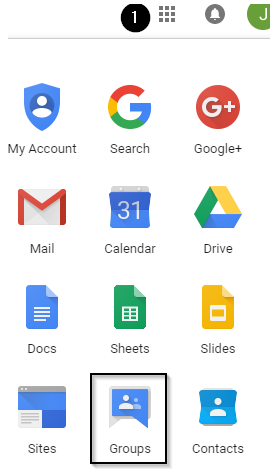 For instructions on creating folders in Google Drive, view the UNI eLearning Suite FAQ. 1. Go to any Google page. In the top-right corner of the screen, click the grid icon, then click Groups. 2. 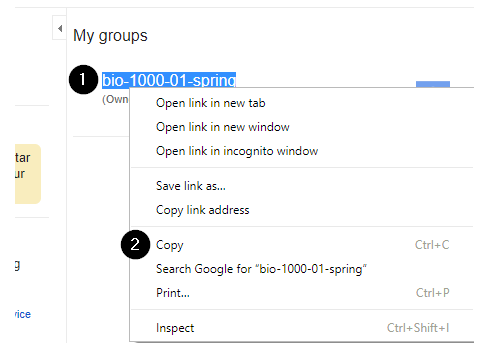 Click on "My groups". 3. Find the class you wish to share the folder with. Select the name, then copy by right clicking and selecting Copy (alternatively, use Ctrl + C). 1. Locate your folder. Right click, then select Share. 2. 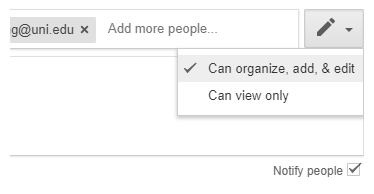 Paste your Google Group name into the “People” box by using Ctrl + V, then add “@uni.edu” at the end. 3. Click the pencil drop down box to choose what people in the group can do with the folder/files. We recommend choosing Can view only. 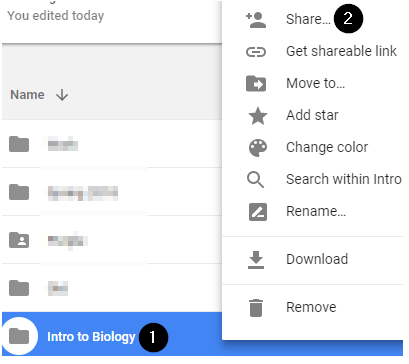 Note: You may also share a single file with students using this process Repeat steps 1-3 after right-clicking on the file you want to share.